At CES 2019, Baidu announced its new open source intelligent edge computing platform OpenEdge that allows developers to build light, secure and capable edge applications and solutions with greater flexibility. The company's new platform is also China's first open source edge computing platform. Developers can leverage OpenEdge to build their own edge computing systems and deploy them on a wide variety of hardware. These locally deployed systems will have data collection, message distribution, function compute, AI inference, cloud synchronization and other essential features. 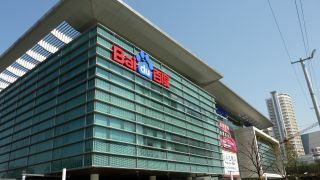 OpenEdge is the local package component of the company's commercial software product Baidu Intelligent Edge (BIE). BIE also includes a cloud-based management suite which provides functions to manage edge nodes, edge apps and resources such as certification, passwords and program code. This means that BIE installed applications will be able to take advantage of both cloud reliability and edge locality. BIE also works seamlessly with Baidu Cloud and supports models trained on mainstream AI frameworks such as PaddlePaddle and TensorFlow. Developers can train their AI models on the company's cloud platform and then deploy them on local devices. Additionally Baidu announced that it will partner with Intel to jointly launch the BIE-AI-Box and with NXP Semiconductors to jointly launch the BIE-AI-Board. Developers interested in getting started with OpenEdge should check out Baidu's GitHub page.